Samsung introduced the world to its Milk Music service back in March of 2014, and the name "Milk Music" was just as odd back then as it is now. It started off as an exclusive app available only on select Samsung Galaxy devices, and we gave it a positive review for being simple and having no ads. Samsung eventually expanded support to more of its own devices, and last March they created a desktop web app. But Milk Music's time started to run short when Samsung shut down Milk Video in November 2015. 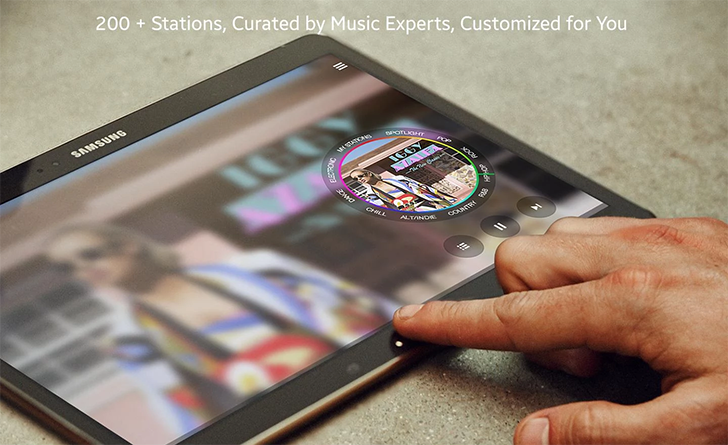 Now Samsung has unceremoniously announced the end of Milk Music. In an official statement from its newsroom, the company said Milk Music will be officially discontinued on September 22. They will instead focus on, "seamlessly integrating the best music services available today into our family of Galaxy devices." On the app's page on the Play Store, the same message is posted, as well as a note redirecting users to Slacker Radio (which Samsung says powered Milk Music). It's worth noting that Slacker Radio is ad-supported, and offers Pro and Premium subscriptions at $3.99 per month and $9.99 per month, respectively. I at least hope that Samsung will allow Milk Music to be removed from all devices with it pre-installed. Otherwise, that's 16MB of storage that users won't be getting back.